We are all people living with HIV/AIDS−those who are infected with this virus; those who have lost loved ones; those who care for them, and every one of us struggling to eradicate this disease. HIV/AIDS has changed our lives. Some of our beloved family members and friends carry or carried in their bodies this debilitating disease. Some have been discriminated against; most have been loved deeply. Each has surely felt anger and pain, hope and fear, support and loneliness. They are here with us now, reminding us that we must respond to AIDS: with love, tears, rage, compassion, hope, and action. Remember those you know who are living with HIV and AIDS, those who have died of AIDS-related causes, all who have been affected by this disease. I remember Shawn who was born HIV+, lived valiantly with the virus, and died of AIDS at the age of five. The WATER community created Shawn’s wake and funeral with his adoptive Moms and made his quilt panel for The Names Project AIDS Memorial Quilt. Join your candle with many candles, many lights. We know the face of AIDS. You are here, right here in our midst. We are friends, partners, lovers, family, neighbors. Response: We know the face of AIDS. You are here, right here in our midst. 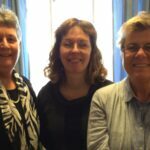 We are care sharers, justice workers, health care professionals, social workers, ministers. We are students, teachers, parents, sisters, and brothers. Some of us are wise elders; some are caring adults; some are searching youth; some are wonder-filled children. Some of us are lesbian; some of us are gay; some of us are straight; some of us are bi; some of us are trans. Some of us have or might get HIV. Some of us feel angry and sad, fearful and fragile, vulnerable and alone. We are multi-colored and many cultured people, we are one world. All of us are people of faith, awaiting the day when AIDS is a distant memory. AIDS affects all of us and takes us to places where we would dare not go. How is AIDS affecting you? What love story do you tell? What would you want on your quilt panel when you die? Compassionate Holy One, open our hearts and minds and hands so that we connect ourselves to the global community of others responding to AIDS. 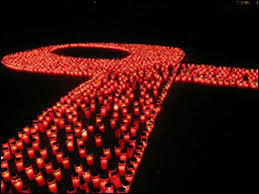 We remember all those women, men and children in this country and around the world who are living with AIDS. Response: Justice demands that we remember and respond with compassion. We remember all who care for people living and dying with AIDS in their homes, in hospices, and in support centers. We remember all who are involved in research and hospital care that they may respect the dignity of each person. We remember all partners who are left mourning for their beloved ones. We remember all parents who learn the truth of their children’s lives through their process of facing death. We remember our responsibility to eradicate this virus and the social/economic conditions that make those who are poor, young, gay, trans, women so vulnerable. Let us go forth to respond to AIDS: with love, tears, rage, compassion, hope, and action. ©Diann L. Neu, dneu@hers.com, co-founder and co-director of WATER.